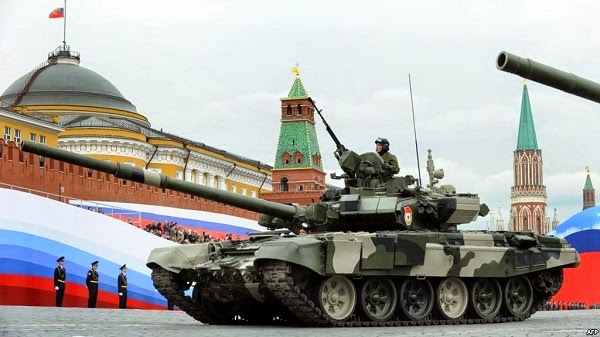 Peru is interested in a supply of Russian T-90S tanks, but plans are currently considered a medium-term project, Russia's state arms exporter Rosoboronexport deputy general director Sergei Goreslavsky has told RIA Novosti during the exhibition, Africa Aerospace and Defence 2014. "In collaboration with Uralvagonzavod,Rosoboronexport is working hard to promote the T -90S. This project continues to be the focus of Peruvian leaders, but is has earned a medium-term due to a number of political circumstances, such as the upcoming presidential elections," said Goreslavsky. Peru's Ministry of Defense announced the possibility of buying some 140 T-90S tanks in the future after receiving prototypes of the Russian battle tank for trials in May of 2013 in Lima. Peru currently uses 300 AMX-13 French light tanks in addition to 300 obsolete Soviet-made T-55 tanks. Though the T-90S trials have proved successful, a contract to supply the tanks to Peru has not yet been signed. According to Goreslavsky, the Peruvian leadership is focused on the project with aims of establishing production of the Russian Kamaz trucks, including military versions, which can potentially be used for civilian purposes. 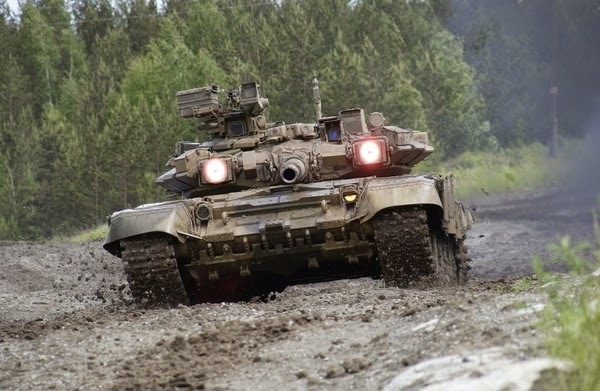 The modified T-90S is fitted with an increased power multi-fuel 1,130-h.p. diesel engine, giving the vehicle a top speed of over 60 km/h (37 miles per hour) on roads and up to 45 km/h on rough terrain, according to its manufacturer, Uralvagonzavod . The 46.5 ton tank's redesigned turret features a modernized 125-mm gun fitted with an autoloader, capable of firing 9M119M missiles, new fire control, navigation and communications systems, and a remotely-controlled mounted 7.62-mm machine gun. It has a crew of three, who are protected by explosive reactive armor and an NBC protection system.